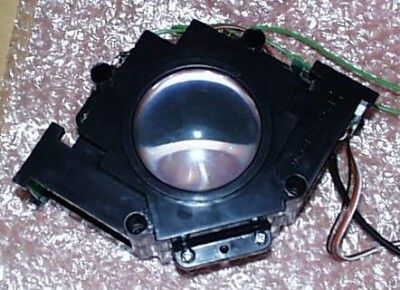 I picked up a 3″ clear trackball. It is a Happ USB/PS2 3″ model with mouse buttons. Turns out I don’t need the mouse buttons, because my Tornado spinner already has them. 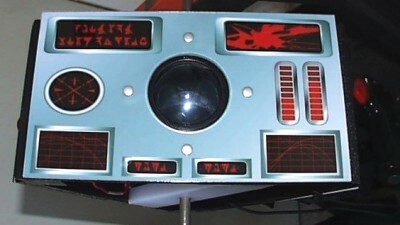 I looked at other 3″ trackball models, but they were too large to fit in my cramped rotating CP. 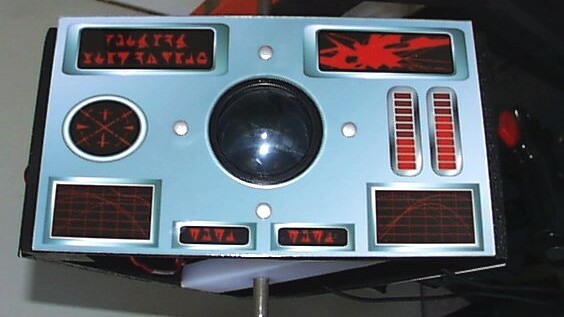 I also tried a computer trackball that I bought on Ebay for $2, but I was not happy with the play. Also the USB feature obviates the need for an OptiPac. I opted to not use a mounting plate. This produces a very clean look, but makes installation more difficult. The first step in mounting the TB was to cut out the body pattern using a jigsaw. I had to use a router on the top left and bottom right corners of the pattern to allow the trackball to sit flush with the top of the panel. The routed out pattern on the bottom of the panel does a good job of holding the trackball snugly in place. The next difficult part was to cover the panel with Lexan. Cutting a 3″ hole in Lexan is not easy. I tried hole saw bits and carbide forstner bits. However, any hole bigger than an inch was very difficult and messy. Finally, I ended up building a wood template out of MDF. 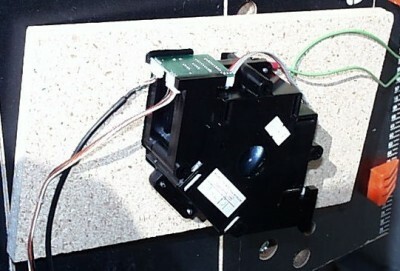 I first drilled the 4 holes for the mounting screws into the template using a drill press. I measured the hole pattern very accurately to insure a proper fit. 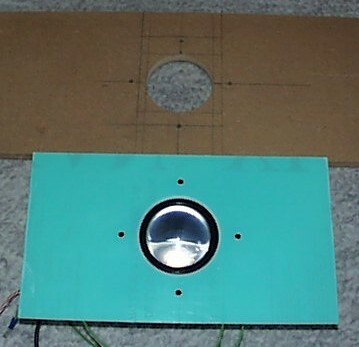 Next I drew lines through the horizontal and vertical holes to determine the center point of the trackball. Using a drill press with a hole saw bit I cut a 3″ hole in the center of the template. I then clamped the Lexan to the template. I drilled the small mounting holes with a regular bit through the Lexan. I then used a carbide forstner bit to drill a 5/8″ hole through the Lexan above the 3″ hole in the template. Next I used a router with a chamfer bit to enlarge the 5/8″ hole to 3″ and at the same time the chamfer produced a perfect bevel. 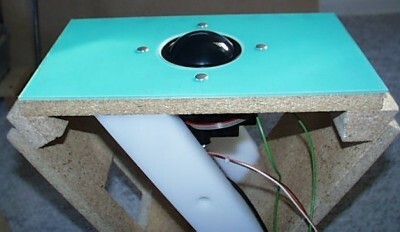 Here is the trackball mounted to my rotating triangular panel. The bevel in the Lexan perfectly fits the height of the trackball lip. The trackball barely fit into the rotating panel. I had to route out about 1/8″ off the UHMW strut to clear the TB circuit board. Here is the ball with artwork on my tri-panel. I built a rainbow LED circuit to illuminate the clear TB with a cycle of smooth color transitions. It produces a very relaxing effect.